You can trust that your order will be quickly processed and safely delivered. We try to make every order as fresh as possible so this means, we don't sell products that have been already baked prior to ordering. We deliver only to destinations in Greater Accra (Ghana) using a courier or method of your choice. When you place an order, we will estimate delivery dates based upon the availability of your item(s), quantity and complexity of the bake. We deliver typically within 1 to 4 days after your payment has been received. Special and large orders might take longer -- please call to discuss. However, you will always be notified by SMS and e-mail on the status of your order during the whole process. In case you change plans after we have scheduled a delivery, kindly let us know in advance. Our delivery charges are fixed and may be increased if we have to return due to situations such as not being around to accept your order. We will not hand out any order on arrival without showing us your order's invoice number and a valid ID. 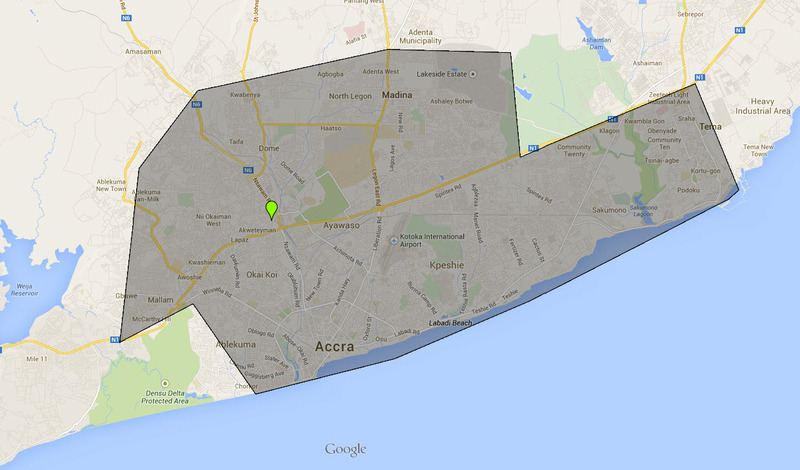 We don't ship to international destinations but you can order to be delivered in Accra, Ghana. Please submit a message to us from the Contact Us page if you're outside Ghana and would like to discuss ordering or delivery options.